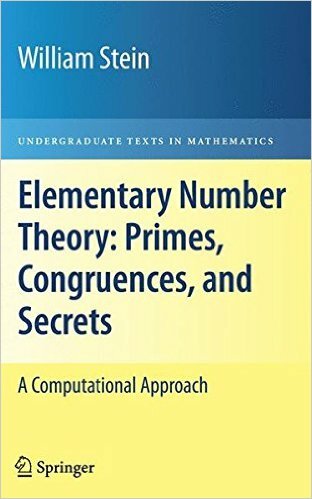 A textbook about prime numbers, congruences, secret messages, and elliptic curves that you can read cover to cover. William A. Stein wrote:Today, pure and applied number theory is an exciting mix of simultaneously broad and deep theory, which is constantly informed and motivated by algorithms and explicit computation. Active research is underway that promises to resolve the congruent number problem, deepen our understanding into the structure of prime numbers, and both challenge and improve our ability to communicate securely. The goal of this book is to bring the reader closer to this world. Each chapter contains exercises, and throughout the text there are examples of calculations done using the powerful free open source mathematical software system Sage. The reader should know how to read and write mathematical proofs and must know the basics of groups, rings, and fields. Thus, the prerequisites for this book are more than the prerequisites for most elementary number theory books, while still being aimed at undergraduates. William Arthur Stein is a professor of mathematics at the University of Washington. 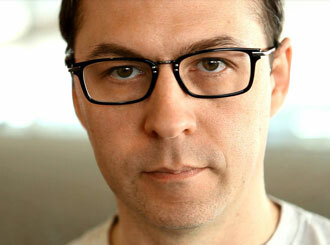 He is known as the lead developer of SageMath.